Alright, so it wasn't as bad as I thought it would be. I do realize that relatively speaking, 34 is quite young. Although I've read enough Indian saga stories (A Fine Balance, A Toss of a Lemon) to know that in many other cultures, I'd be a granny by now, if I were still around at this age. 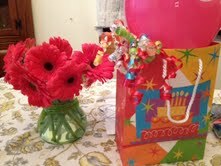 But I never had a hard time facing my birthday before this year, which took me by surprise. ummmm. couldn't wait to dig in. Then, loving people came through: friends, and family, and Facebook. Having your birthday on FB is so rad. 100 people you may or may not have spoken to in 15 or more years write you happy messages - you can't help but smile. I felt loved. 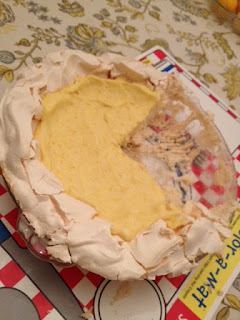 My bake-tastic husband fixed me a Heavenly Lemon Pie (this is as close as I could get) and I tried not to hog it all. My mom made cinnamon buns (healthy ones, I swear), there was a sesame sweet potato pastry from Paris Baguette Bakery, pizza lunch at Jules, and dinner at Penang, complete with the roti canai deliciousness, and a fried coconut ice cream pre-dessert treat (bonus restaurant serenade). Fab. And today, for the first time in I don't know how long, I actually wanted to freeze time. 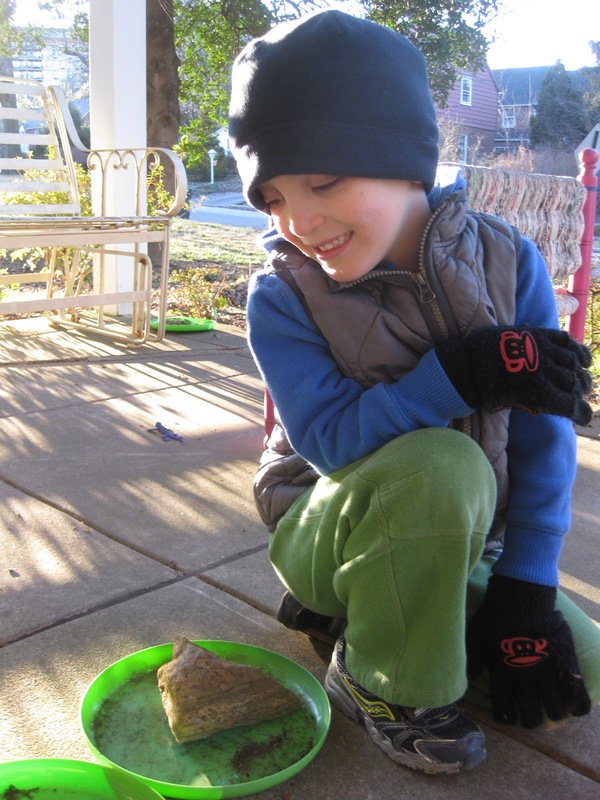 Judah, playing on the front porch with his "sister" (a blue smooshy lizard aptly named Lizzie), a warm pile of laundry in the living room, sunshine poking into every possible corner. Bliss. And I wanted to just stay in that sunny moment when nothing bad was happening. Kairos time, if you will. It struck me because for the past few years I've been in search of the fast forward button, wanting to push through the misery, depression, the fog of frustration and fear to the clear skies of normalcy. I don't know if normalcy exists for anyone at all, or if it's just an illusion we cling to so that we can get through each day. If I thought every day about ALL of the potential for terror that looms, I would need a lot of Ativan. With refills. (Have I ever mentioned that the only news I watch on tv is The Daily Show?) So we obviously can't dwell in a place of possibility all the time, but really need to try to be present. I'm working on it, not constantly future projecting. And today happened naturally, no effort required. Yes. ps. Enjoy a Mat Kearney song of the moment: Closer to Love. most amazing handmade just for me mug!! thank you thank you nina! !